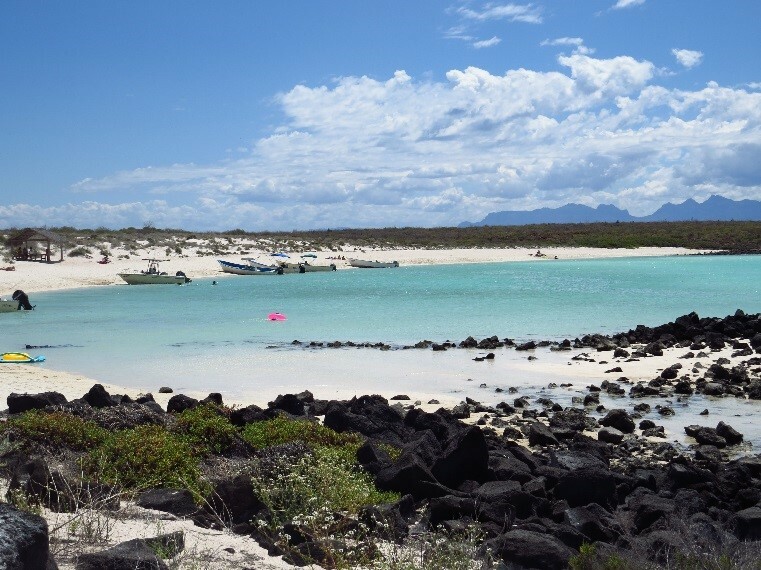 Born from the diligent efforts of the Loreto community, The Bay of Loreto National Park was officially created by Presidential Decree and approved by the Mexican Federal Congress on July 19, 1996. The Marine Park covers 2,065 square kilometers (797 square miles) in the Gulf of California, ranging from Isla Coronados in the north to Isla Catalana in the south. On July 14, 2005, the Park was added to the United Nations’ list of protected World Heritage Sites. With over 800 species of marine life inhabiting the Gulf of California, and many of them currently endangered, the need for protection of these delicate ecosystems is great. Shortly after the Marine Park was created, the U.S.-based Nature Conservancy took notice and offered to help with the conservation of the Park. Funds raised through The Nature Conservancy, other non-profits, and concerned individuals helped to create Grupo Ecologista Antares (GEA), Loreto’s first non-profit, environmental association. 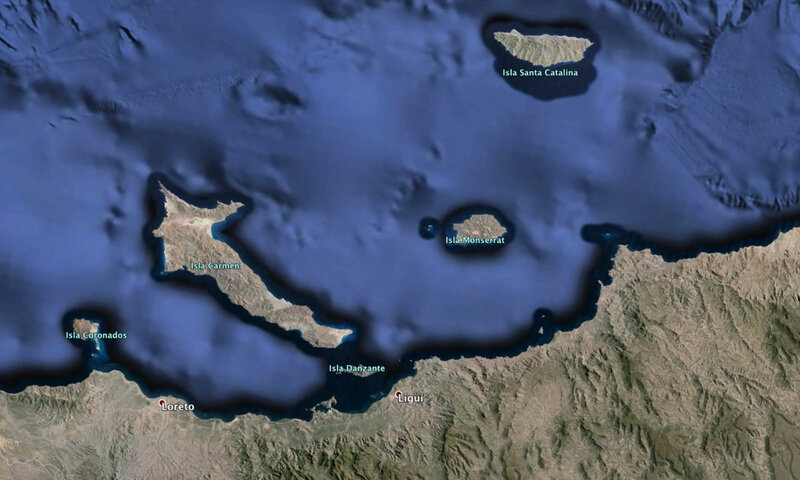 GEA´s programs and efforts over the past 13 years have contributed to addressing the urgent environmental issues that affect the Loreto region. With environmental pressures mounting, in 2007 Eco-Alianza de Loreto, A.C., was founded to help coordinate the efforts of the local non-profits and develop strategies to enforce protection of Marine Park resources and to create greater local, national, and international awareness of the challenges that affect Loreto’s future. Eco-Alianza de Loreto is a non-profit membership organization that brings together organizations, committed individuals, and government — all working collaboratively to protect and preserve the coastal, marine and terrestrial ecosystems of the Municipality of Loreto while promoting smart growth strategies and viable communities in the region. The Bay of Loreto National Park is part of the “Islands and Protected Areas of the Gulf of California,” which were added to the UNESCO (United Nations Education, Science and Culture Organization) World Heritage List in 2005. The listing includes 244 islands, islets, and coastal areas in the Gulf of California, which are considered “a natural laboratory for the investigation of speciation.” The mostly uninhabited islands host at least 695 species of vascular plants, and their surrounding waters at least 800 species. Many endemic species of plants and animals are found nowhere else in the world. The islands were recognized by UNESCO for their stunning natural beauty and their extremely wide variety of natural habitats, including areas with tremendous nutrient-rich upwelling of ocean currents. They are considered a global priority for biodiversity conservation and also a heritage area because their geology exhibits such a wide variety of the important stages in the history of earth. A commemorative plaque is displayed on the seaside boardwalk (malecon) of the city of Loreto. The designation is an acknowledgment of exceptional natural features of the site and the commitment of Baja California Sur for the care and protection of these natural areas. The Bay of Loreto National Park was designated as a RAMSAR site in 2004. The RAMSAR Convention was negotiated in the 1960s and signed in 1971 in RAMSAR, Iran, as an intergovernmental treaty providing for international cooperation for the conservation and wise use of wetlands. More than 90 percent of United Nations countries take part in protecting wetlands designated under the treaty. Wetlands within the Bay of Loreto National Park are considered to be of international importance especially because of their diverse habitat for waterfowl, both resident and migratory. The wetlands, including estuaries with large areas dominated by mangroves, provide a huge diversity of important natural habitats — coastal, marine, and continental. The Bay of Loreto National Park and the Gulf of California Islands, distinguished in beauty and natural features, represent a unique example in the world for their diversity of marine life. 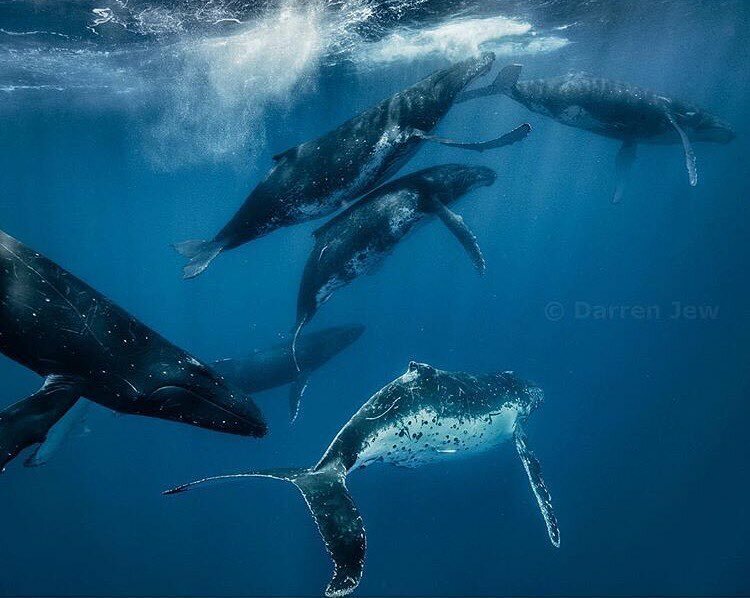 More than 39 percent of the world’s marine mammal species and over a third of the world’s cetacean species can be found in the Park. The National Park is administrated by CONANP, based on federal, state and local regulations. The Park has its own management and conservation plan. With a wide variety of unusual natural ecosystems present in the National Park, regulations are focused on protection of natural resources. Regulated and permitted activities include research, recreation, tourism and environmental education, as well as the sustainable use of all natural resources. All visitors are responsible for taking care of this Protected Area, so we respectfully ask that during a visit to the Bay of Loreto National Park, get your time to notify the Park about your travel; so you can get register as a visitor and pay your entrance fee, along with that you’ll get some guidance. • Use only authorized paths and do not make new trails. • Do not cut, mark, or mistreat the vegetation. • Do not paint on the rocks or other surfaces of the Islands. • Camp only at locations authorized by national park staff, and do not alter the physical conditions of the site. • Light fires only at appropriate sites and do not use native vegetation of the Islands. To make bonfires, you must bring the necessary material. • Review provisions, equipment and boat to avoid introducing any kind of non-native flora or fauna. • Do not feed the native animals. • Do not leave trash on the Islands, even if it is biodegradable. Bring all the waste to the port. • Do not extract or capture flora and fauna living or dead, or other biogenetic elements. These instructions are for the terrestrial part of the Park; for the marine part there are additional rules and regulations. It is the responsibility of all to know the laws and to cooperate in actions for the conservation of this Natural Protected Area. To that end, we collaborate with the personnel of the Park for compliance of their regulations.